John 7:53-8:11 – Preachable, but Authentic and Canonical? I am back to the Gospel of John in my Sunday Evening Bible Study, but I have an unusual text to cover this week. The saying of Jesus, “let he who is without sin cast the first stone” is an commonly quoted text encouraging grace and forgiveness, even a kind of inclusiveness in the church. But the authenticity of the story in 7:53-8:11 is disputed. It is hard to separate the potential “preachability” of this text from the rather academic textual questions. It is important to realize at the outset that Jesus was in fact accepting of sinners and forgave sinners, including well-known adulterous women. But does this text reflect an authentic episode from the life of Jesus? This story is often dismissed as non-canonical based on its very poor manuscript evidence. There are no major Greek manuscripts prior to the 8th century that include the story except Codex Bezae, possible the most free of all the uncials. It is known in the Old Latin versions, indicating that the story was known in the western church. There are many ninth century Byzantine texts that include the story, but often with an indication by the scribe that the story was doubtful. It is missing in all major Greek manuscripts and in all eastern versions and eastern fathers, as well as the earliest lectionaries. Internal evidence is not much better. The location of the story shifts from John 7:53 to the end of John, to after Luke 21:38 (The Farrar group) or Luke 24:53 (a corrector of ms 1333) Like most commentators, Burge thinks that the story fits awkwardly in the flow of John’s gospel, possibly explaining the wide variety of placements within the New Testament. The twelve verses of the story have the highest rate of major text variants in the New Testament (Burge, 144). Even with this overwhelming evidence against authenticity, there are several scholars willing to accept the story as authentic, but that it remained outside the canon until the fourth century. Burge offers several reasons that might have lead to the suppression of the story as an authentic Jesus story: The ethics of early Christianity took very seriously the demand for perfection (as expressed in Ephesians 4:17-24, for example, cf. The Didache). Sexual sin was even more severely disciplined in the early church. This is most likely a reaction to the particular sexual excess of the Roman world. Burge cites the text of the Acts of Paul, an apocryphal book written well into the Christian era, as an example of how strong attitudes were concerning sexual immorality. The problem for the study of the canon is this: If it is authentic and if it was somehow detached from John or was a separately circulating oral tradition that managed to be written at some point and slowly accepted by the church as authentic, what to we do with it? Protestantism has always understood the books themselves to be “self authenticating.” Biblical books are inspired and the church recognizes them as such. If the overwhelming textual evidence indicates that the story is an insertion, then it cannot be canonical even if it is authentic. For this reason many commentaries (even from evangelicals with a commitment to inerrancy) do not include the text in their discussion of the canonical Gospel of John. N. T. Wright suggests that the story became associated with the beginning of John 8 to explain the harsh critique of the Judeans later in chapter 8. 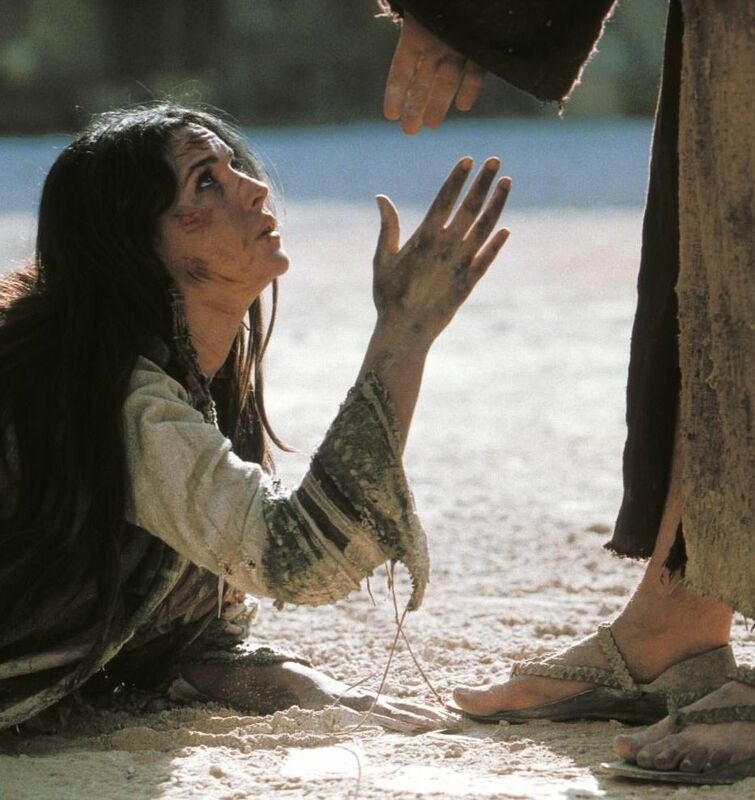 The woman is used by these teachers and scribes to try and trap Jesus into either dismissing a clear teaching of the Law and forgiving adultery or contradicting his usual practice of forgiveness. Wright, John for Everyone, Part 1, 112). This is as good a reason as any for the association of the story with John, although there is little evidence for the suggestion. I think that the story is consistent with the description of Jesus in Gospels, but especially in John’s gospel. Jesus talked with the woman at the well in John 4. Even though she was in an adulterous relationship he offered her “living water” and forgiveness. There is nothing this story which strikes me as out of character for Jesus and the story does explain a shift in John’s gospel toward an intentionally hostile conflict between Jesus and the Judeans. Bibliography: Gary M. Burge,“A Specific Problem In The New Testament Text And Canon: The Woman Caught In Adultery (John 7:53-8:11)” JETS 27 (1984): 141-148. If I read this, does it mean I can stay home tonight and watch the Packers? I guess not…! This was the supplemental material anyway. I have to teach John 7:1 through 8:11 on Sunday, and am spending a disproportionate amount of time on 7:53-8:11. I think I’ll be prepared to answer questions about the originality and authenticity but not dwell on the controversy. To me it sounds true to the nature of Jesus’ teaching, and is probably an ancient story, so I’ll not throw fuel on the fire. The story contains some words that are found only in the writings of Luke. I would say that for some reason Luke left it out of his gospel, but it still found its way into the canon. It has the ring of truth and it is not found in any pseudo-canonical gospels or other writings. It’s the real deal. Don’t take an Exacto knife to it. In some manuscripts, the story is attached to Luke’s gospel, albeit with an asterisk. I am not sure the story is close enough to Luke to say he wrote it, but it is certainly possible.